For those of us who have been involved (immersed?) in technology and ministry for any length of time (40 days or more! ), HD (High Definition) technology is not exactly a “news flash”. However, many of us within the TFWM family have been tracking – either casually or concertedly – the emergence of HD technologies, and have discovered that currently the “hottest” trends therein are being trail-blazed by the home entertainment market. As an increasing number of television broadcasts (and DVD’s) preface their programming with on-screen announcements indicating “the following program is being broadcast in High Definition” or a similar message, we see this trend expanding rapidly. A visit to the television section of your local Best Buy will reveal the explosion of HDTV displays (HD tuner built-in) and “HDTV-ready” (no built-in HD tuner, but capable of accepting and displaying pictures from a HD source). This would be a good time to simply admit that you and I have been guilty of “digital covetousness” as we think (dream?) about having one of those brand spankin’ new 55″ LCD or Plasma HDTV displays in our living room. This revolution in United States consumer entertainment is the result of the ATSC’s (Advanced Television Standards Committee) federally-mandated transition to an all-digital broadcast system by the end of 2006. For those of us involved in media ministry, the current reality of the “co-habitation” of SD (Standard Definition) and HD technologies begs the big question: “What effect does the emergence of HD technology have on our use of media in ministry?” Several “sub-questions” quickly come forth: “We’re about to invest in equipment but we didn’t budget for the more expensive HD. What should we do?” When is the best time (if any) for our congregation to make the transition from our SD gear to HD gear?” “How can we better eliminate the confusion that surrounds HD and the many, often non-standardized related technologies?” “How long can we effectively use our SD gear before switching to HD becomes urgent?”, and many more. We may not be able to address all of these questions in this brief article but let’s get started on at least some of them. Here’s a simple spiritual/digital parallel to get us started. As Christians I believe we almost universally understand the phrase “conversion experience” as referring to our own or someone else’s spiritual experience of “coming to Christ”, “being saved”, “accepting Christ”, “repentance”, and a wide variety of other terms and phrases describing this spiritual reality. So too, is our agreement that although the truths of scripture and it’s teaching on how one obtains salvation remain unchanged (and unchangeable), each person’s “journey to the cross” is a unique and valid story of how they transitioned from a self-centered life to a “Christ-centered” life. As I begin these reflections with you on how your church may be responding to the transition from SD to HD taking place within our culture, the parallels between our unique spiritual journeys as individuals (testimony) and our unique “digital journeys” as congregations (techtimony?) start to emerge. One of the most obvious parallels is TIMING. Just as people “find the Lord” at different times in their lives, the timing of when your congregation embraces HD technology will probably be much different than the church down the street or across town. Your “digital conversion” from SD to HD may have already taken place, is currently in process, imminent, or may not take place for many years. When it comes to embracing new technologies, and you are an “early adopter” it may be frustrating for you if you are part of a ministry team made up primarily of “late adopters”, but we are called to entrust the timing of everything in our life to God, including “tech-timing”. A second parallel between our spiritual conversion and our “digital conversion” to HD, is our REASONING or RATIONALE. People give all kinds of reasons for “coming to faith” (fear, love, near-death experience, hopelessness, desperation, etc.) or not (hypocrisy, denial, hurts of the past, busyness, etc.) 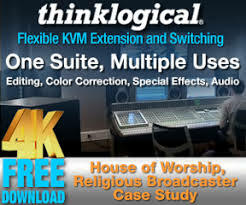 Your ministry also has unique reasons affecting it’s decision to either make the move or not make the move to HD technology. You may want to consider the following questions as you formulate your “HD rationale”. 1) Can we afford to make the move to HD now? Let’s face it, the “bottom line” is often the bottom line when it comes to tech-for-ministry decisions, and currently it is still somewhat substantially more expensive to go with High Definition cameras, video switchers/scalers, projectors, screens, cables, and related accessories than to go with SD gear. Although, as with almost any new technology, prices continue to fall. The increase in cost for HD is even greater when comparing pre-owned (SD) video gear vs. new HD gear. Obviously, there is not a lot of used HD gear on the market since it is such a new technology, but the pool of used HD gear will grow bigger and bigger. If your present budget realities force you to choose between no ministry through technology or ministry through SD technology, go for the latter option. Down the road you may have the opportunity to make the switch if and when you decide to do so. If you are doing any kind of permanent install of SD cables/wiring now, it would be a good idea to spend a bit more to also install HD cables/wiring to avoid having to re-install them at a later date. 2) Should we add HD capability in the early stages of our major building/expansion project? Although adding HD technology to a building project will obviously increase the total cost, that cost increase usually represents only a small percentage of the total project substantially reducing “sticker shock” as well as providing the needed long-term media ministry solution. If you decide to go with SD technology in any type of construction/expansion, be sure to install both SD and HD wiring as aforementioned. The decision to go with HD technology in relation to a new building/expansion project is also much easier if you are able to repurpose any existing non-HD video technology (projectors, screens, cameras, etc.) into other ministries within your church (can you say, “tecno hand-me-downs”?) For instance, if you’ve already invested substantially in SD technology and are planning to embark on a building project which includes a new worship sanctuary with all new HD technology, then the existing SD gear may be used very effectively in the fellowship hall, gymnasium, youth ministry center or other ministry locations. If not, there’s always eBay!! 3) Does our ministry have a compelling reason to embrace HD technology right now? Contrary to what you may have heard or believed, the answer to this question may actually be a resounding “no”. 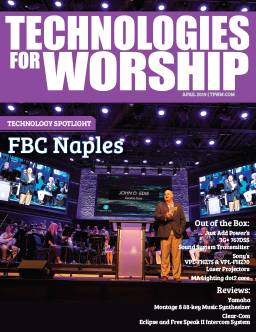 Your congregation may have recently completed a substantial expansion of its sanctuary and/or it’s media technologies (non-HD) in those facilities. Guess what, you can use that technology for amazing effectiveness in media ministry today and for years to come! If budget constraints permit for only investing in SD now but upgrading to HD later, go for ministering through SD! Never allow your inability to get your hands on the state of the art diminish your ability to affect the state of the heart. Ministry is ALWAYS to be the master over the media when using media for the Master and not the other way around. Like the change of adolescence, the current transition from SD to HD in our culture and within our ministries can be an awkward one. Let’s use our remaining word count to help smooth out some of the bumps if now is indeed your time to make the digital conversion from 4:3 (SD) to 16:9 (HD). 1) If purchasing an HDTV display (TV, monitor, projector) make sure you research the product in question and understand exactly what it will or will not do as it relates to it’s ability to display true HD quality (720p and 1080i) resolutions. It’s way beyond the scope of this article to try and walk through the many different types of connections currently available for displaying HDTV, but some common HD connections include DVI, mini DB 15 pin and component – although keep your eyes open for the new HDMI (High Definition Multi-Media Interface). 3) As with any other substantial purchase, it pays to shop around. Once you have decided on a specific model, compare prices, warranties, tech support and accessories. Talk to end-users of the identical model or manufacturer under consideration. 5) Pace yourself. You may not need to transition from SD to HD all at once. Perhaps you are able to transition in phases depending on where you are and where you want to go with your media technology. This is especially true if the gear in question can handle both SD and HD technology. 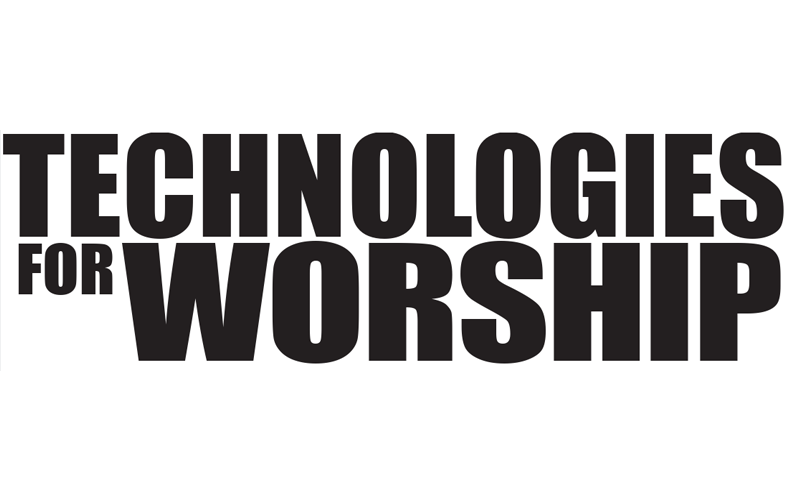 Since you are reading these words, you are probably involved in (or sincerely WANT to be involved in) contributing to the discussions and decisions related to doing what the name of the magazine you are holding in your hands not-so-subtly suggests: using technologies for worship. The more you increase your own knowledge of HD and related technologies the better you’ll be able to assist your church as it considers it’s unique response to this emerging and exciting technology. Just remember, like The Preacher says in Ecclesiastes, there is a time for everything… in this case, a time to transition to HD and a time to refrain from transitioning to HD. Whatever you do, enjoy the journey and take care of each other every step of the way.